You’ve probably already heard Drumsound & Bassline Smith’s first Technique release of 2017, although you might not have clocked that it was them on the buttons. So, having chalked up Radio 1 airplay from behind the scenes on Youngman’s genre-bending “Sorry”, the label bosses are stepping into the spotlight themselves. And they’re definitely making their presence felt. We step into darkness immediately. To be fair, you couldn’t really expect anything else from a track called “Thug Killer”. As those dissonant pads and apprehension-building hints of mechanised percussion give way to the eponymous vocal clip, we’re left in no doubt that this is going to be a monster of a track. Then, that machine-gun staccato synth punctuated by gut-wrenching bass sweeps is an irresistible signal for ravers to step up. The metronomic punch of drums and the lethal throb of sub-bass strikes in the drop, and we’re into full on screwface territory. But there’s more. A police siren breakdown adds a whole new dimension, and when that handgun-action sound takes us into the almighty build for the second drop, the levels are raised once more. Even in this era of quick mixing, the discerning selector might want to let this one play for maximum effect. So, if this release has set out the template for 2017, we can expect big things. 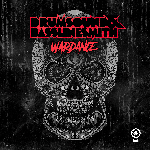 Drumsound & Bassline Smith closed off last year with an armoury-worth of releases across multiple labels, and they’ve barely paused for breath before going back in hard. This release is going to set some raves alight and it’s clear that we’ve barely scratched the surface of what’s to come.